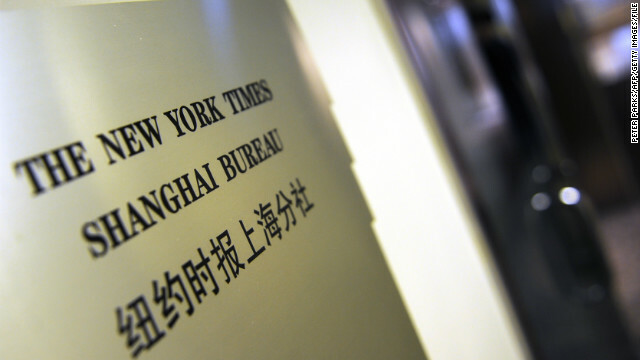 • New York Times says Chinese hackers broke into its computers: "The New York Times says that Chinese hackers have carried out sustained attacks on its computer systems, breaking in and stealing the passwords of high-profile reporters and other staff members." • Standoff drags into 3rd day as man holds child in bunker: "The gunman stormed into the school bus Tuesday afternoon and demanded that the driver hand him a child. When the driver refused the demand, police said, the gunman shot him several times as 22 horrified children scrambled for cover. But the man was able to grab the boy and drag him to his underground bunker. And the standoff began." • Chuck Hagel testifies before the Senate Armed Services Committee Thursday: "When the Senate Armed Services Committee is gaveled into session Thursday, Chuck Hagel is likely to face some sharp questions from many of his old colleagues." • Federal Housing Administration to hike premiums on mortgages: "Government-insured mortgages are about to get more expensive. The Federal Housing Administration, which is the largest insurer of low-down payment mortgages, announced Wednesday that it will raise premiums by 10 basis points, or 0.1%, on most of the new mortgages it insures." • 5 things that could make BlackBerry 10 a hit: "All BlackBerry did Wednesday was change its corporate name, introduce two new smartphones and launch a bold new mobile operating system, BlackBerry 10, that may be the struggling company's last stab at relevance." Make the registered owner of any assault weapon criminally and civilly responsible for any damage or loss of life that his/her weapon is involved in, regardless of who the person was carrying the weapon at the time of the crime. If people want to own these weapons, they should own the tremendous responsibility of doing so, and be held accountable. So if a spouse, son, daughter, uncle, brother, friend, friend of son, etc... gets you assault weapon and commits a crime you are completely liable, and criminally prosecuted to the full extent of the law. This might take some of the fun out of owning these weapons. Reblogged this on The Ramblings of an Idiot. Democracy is a historical urgency, in the age of intercontinental nuclear missiles. I cherished as much as you'll receive performed proper here. The caricature is tasteful, your authored material stylish. however, you command get got an impatience over that you would like be handing over the following. unwell indubitably come more beforehand once more since precisely the same nearly very frequently inside case you protect this increase.